The Yampa River, pictured here from a Loudy Simpson Park access point, is flowing at a near-record-low rate according to data from Ron Dellacroce, Park Manager for River State Park and Elkhead Reservoir. The low water levels and high temperatures have prompted Steamboat Springs officials to enact a voluntary closing of the river, and access points in Yampa River State Park may not be far behind. Wildfires aren’t the only concern caused by this summer’s drought and high temperatures. In Steamboat Springs and Routt County, commercial users of the Yampa River have been asked to stay out due to low water levels and rising temperatures. The same measure could soon be implemented along the river further west in Hayden and possibly Craig. Ron Dellacroce, park manager for Yampa River State Park and Elkhead Reservoir, said water levels are nearing record lows at Yampa River State Park access points. That will likely lead to the park closing its access points to the public to respect private property rights in the area. “There’s been lots of discussion about closing our access sites here,” Dellacroce said. “We’ve never really closed the river through the Craig area because that’s city controlled. Up until this point in the season, fishing and other recreation had been in good shape. Fishing in particular had enjoyed a strong late spring and early summer due to low water levels and friendly water temperatures. “Fishing in the river has been good, there’s of lot good activity in the Hayden area,” Dellacroce said. “Water temperatures have come up as the water has dropped more, so it’s slowed up in the past 10 days or so. The Fish are not nearly as active now. Dellacroce said the access points in River State Park could be closed as early as the coming weekend, if weather continues on its current course. Access points to the river in Craig are not under the same management as those in the state park, and so are not as likely to close. But the problems with fishing are still present. 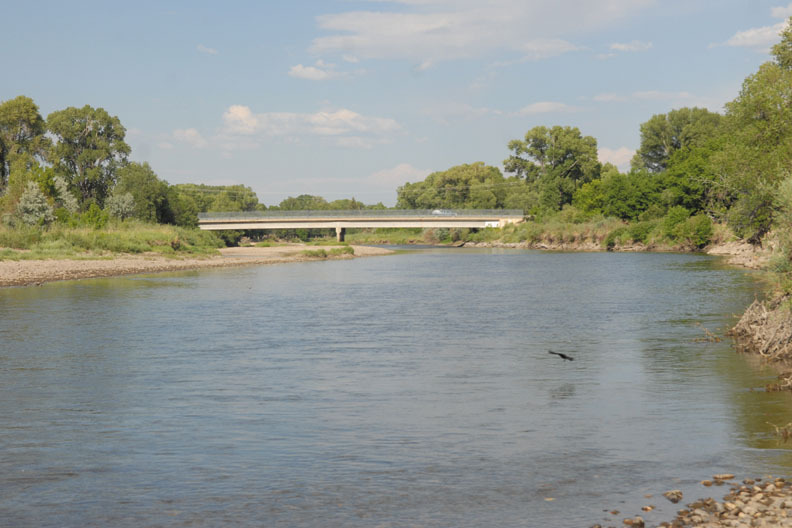 Schmitzer said he hadn’t heard any discussions about closing the river due to low water levels, but he doesn’t think Craig will get as serious a water level and temperature situation as Steamboat Springs.